Diana Micro Super Long Wear Pencil Black gives you extra precise controlled lining, excellent coverage and rich color pay-off! It is smooth to apply and easy to blend. Drawing precise contours is a cinch, thanks to the retractable and remarkably thin, micro tip. Smooth to apply and easy to blend. Excellent coverage and rich color pay. Explore the entire range of Eyeliner available on Nykaa. 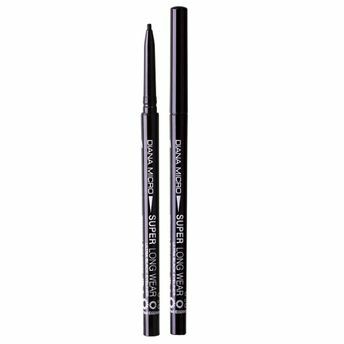 Shop more Diana Of London products here.You can browse through the complete world of Diana Of London Eyeliner .